I knew Balasaheb Thackeray personally. And I knew him well. Well enough for the Shiv Sena supremo to open a bottle of French white wine for me and invite me to smoke a Cuban cigar when I last met him for an interview. He was an enthusiast of good food, fine wines and robust cigars. I interviewed Balasaheb several times. It was an easy assignment. He did all the talking. He asked the questions, raised issues, peppered his talk with witticisms and criticisms, all delivered with deadpan panache. I admired his rhetoric. Just as I did his ability to sway masses, draw crowds, and shut down Mumbai as his whim dictated. A dubious distinction, yes. But also an indication of the power he had over the common man. And what do politicians want if not for power! Though Balasaheb was a political party leader and not a politician. He never contested elections or hankered after a post. And when the Shiv Sena formed the government in Maharashtra in alliance with the BJP, he famously ran the state by remote from his residence. Balasaheb was a treat to talk to. He gave paisa vasool interviews, regaling me with his wit, stinging me with his sarcasm, amazing me with his knowledge of most things. He had a finger on the pulse of the people and was the only real champion of the Marathi manoos. 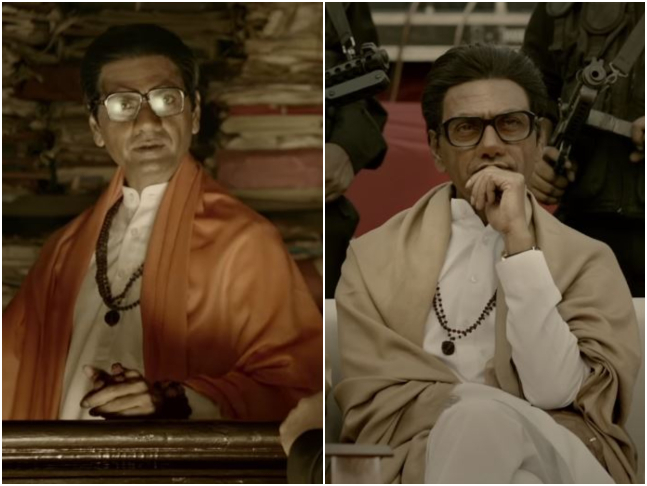 With these memories in mind, I went to interview Nawazuddin Siddiqui who plays the Shiv Sena supremo in Sanjay Raut’s biopic Thackeray that releases this week. Balasaheb did not need elections. If you release Thackeray in the middle of the year the film will get the same response and do the same business. We met at the Sun-n-Sand where media interviews were happening. Mine was conducted in the actor’s hotel room. First, Nawazuddin rolled a cigarette. He did it with the ease and familiarity of a druggie rolling out a joint. In him I see a young Al Pacino. They’re both reticent, diminutive, short, unattractive actors standing head and shoulders over the already successful and popular good-looking hunks, Greek gods, and handsome dudes of their film industries. Both are powerhouse actors with theatre backgrounds who began their careers by learning to live with anonymity. They deliver mesmerizing performances that leave you with a hangover. But I have no opinion of Nawazuddin’s last two films. One was the 2018 biopic Manto that only a handful of people saw. And the other was Petta this month in which he made his Tamil debut opposite Rajnikanth. I think his moment of reckoning is coming with Thackeray. Somebody once uncharitably described Nawazuddin as “5-feet 6-inches of ordinariness” in whose life and career ‘fortune’ and ‘luck’ played a big role. I looked at him now and tried to figure out how. In him I only see a supremely confident actor who stays honest to his craft and walks the talk. Who acts for himself. Not to impress people. Who is trying to discover himself through different characters. And who follows his originality. Artistes have nothing to do with (socio-religious politics) this and the further you keep us away from this, the better! You did two biopics earlier, Manjhi – The Mountain Man in 2015 and Manto last year. They didn’t exactly set the screens on fire. Any apprehension about Thackeray which also is a biopic? Apprehension! Of what, doing a biopic? Not at all. There was nervousness, definitely, because this is a difficult character to play. Not like doing a regular role. It’s very special. At the same time I was confident of my work and knew that I would get a command of the subject by the time the film was ready to be shot. My director Sanjay Raut Saab supported me. And with the full team backing me and leading me towards conviction, the role became believable. People who saw the trailer of Thackeray said I looked like him only. That’s a good thing. He is a politician, certainly, but Sanjay Raut Saab also has that fine artistic instinct that made him recognise my ability. What was your opinion of Balasaheb before the film? Did it change once you stepped into his shoes and shot Thackeray? I am not familiar with too much history. But every person in Hindustan knew Balasaheb. I saw most of his early interviews. After getting the film, I delved into his background. And I learned how Balasaheb did many big things for the Marathi manoos, what a huge contribution he made to Maharashtra, of which I had no idea earlier. Sanjay Raut reportedly saw your film Freaky Ali and knew in two minutes you were his actor for Thackeray. Was this a defining film for you? It was a comedy but Thackeray is not. Freaky Ali was a comedy and a different film for me. 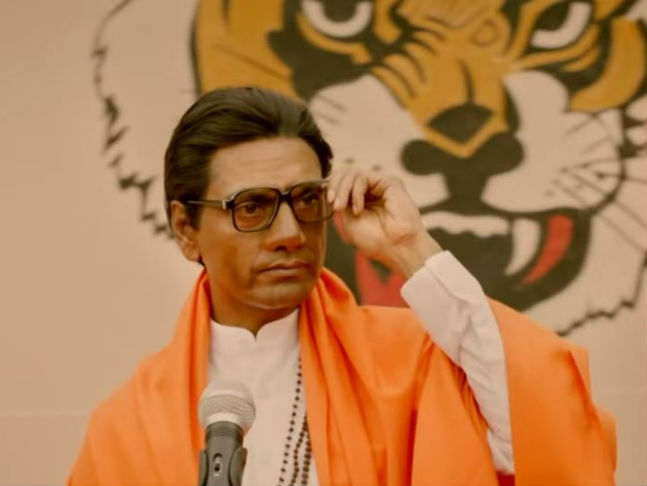 But I have no idea what Sanjay Raut Saab saw in that film, what attitude of mine, what body language, because of which he decided he must get Nawazuddin Siddiqui only to play Balasaheb. He is a politician, certainly, but Sanjay Raut Saab also has that fine artistic instinct that made him recognise my ability. 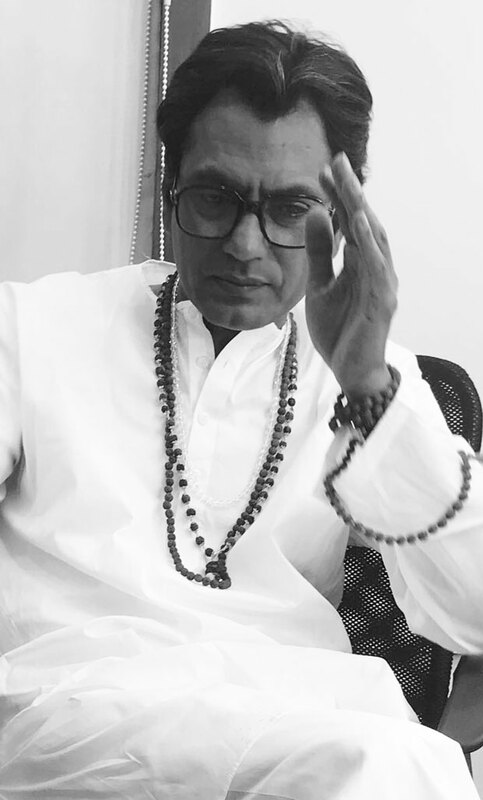 If I have managed to do justice to the role and people believe in me, that is a big thing, because not just the Shiv Sena but everybody in Maharashtra is still emotionally bound to Balasaheb. The film will make you a hero for the Shiv Sena. What if the party asks you to campaign for it in this year’s Lok Sabha polls? I meant, you becoming a star campaigner for the Shiv Sena. Bollywood stars do, you know, campaign for political parties and even stand for elections. Oh, that will have to be seen. What can I say now? But I don’t think so. I have never campaigned before. Many offers came my way. I don’t belong to any party. All this can be seen later. But I’ve never done it before. Today I may be playing a Sufi saint. Tomorrow I will be a dacoit. Who was your point of reference while making Thackeray? Sanjay Raut Saab and a lot of others in the party who had met and interacted with Balasaheb earlier. They told me a lot. I used to ask Sanjay Raut Saab a lot of questions about the Shiv Sena leader and got all my answers from him. Is too much being made of a Muslim-born actor playing the role of a Maharashtrian leader who loved to hate Muslims that were anti-India? My being born in any community is not a contribution to that community. That’s a coincidence. What I have become today is because of my experience and thoughts. A baby does not say I would like to be born in Switzerland so give birth to me there, na? So, of course, I am a Muslim, I was born in Budhana in Uttar Pradesh. But I had no contribution in that. If the work that I did after coming of age and understanding, after my thoughts developed, and I got education and gained experience, if even one drop of that work benefits the country – then I will feel proud. My film Photograph (directed by Ritesh Batra and co-starring Sanya Malhotra) will have its European premiere at the 69th Berlin International Film Festival and world premiere at the Sundance Film Festival. Before that, too, my films have gone worldwide to various international film festivals. And there, when they say this film has comes from India, and the film gets awards and appreciation, then I am happy. Know why? Because I am an Indian and representing Indian cinema. My being born in any community is not a contribution to that community. That’s a coincidence. But you come from a staunch Muslim family of seven brothers and two sisters in Budhana. What were their emotions when you got the role in Thackeray? They were very happy. More than me. And more than them, my mother was happy. Did you know anything about the great Maratha warrior king Chhatrapati Shivaji Maharaj whose ideologies the Shiv Sena follow? Shivaji – of course, he was a great warrior king. Do you know Shyam Benegal made a historical drama (Bharat Ek Khoj, 53-episodes for Doordarshan in 1988 based on the book The Discovery of India) and Naseeruddin Shah played Shivaji in that? And Aurangzeb’s role was done by Om Puri? When you try and mix caste and art, it does not succeed. In this country, an artistic role is done by an artiste only. Today I may be playing a Sufi saint. Tomorrow I will be a dacoit. Artistes have nothing to do with (socio-religious politics) this and the further you keep us away from this, the better! Thackeray the film is almost here. What are you feeling? I am feeling confident! The buzz that is there, the feedback that we got from the trailer, that has excited us considerably and made us confident that audiences will like the film.